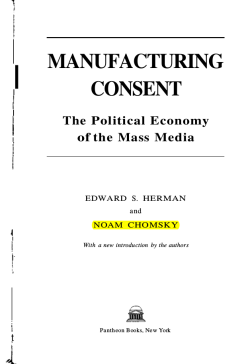 Manufacturing Consent: The Political Economy of the Mass Media (1988), by Edward S. Herman and Noam Chomsky, is an analysis of the news media, arguing that the mass media of the United States "are effective and powerful ideological institutions that carry out a system-supportive propaganda function by reliance on market forces, internalized assumptions, and self-censorship, and without overt coercion". 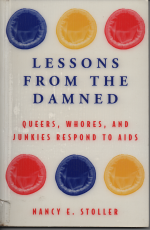 Lessons from the Damned challenges the notion that public health theories and official organizations have the greatest impact on the fight against AIDS. Instead, Stoller looks closely at the ways the most disenfranchised - the poor, people of color, drug users, gay men and lesbians, and women - have built social movements to fight the epidemic. A text looking at nonviolence from a feminist perspective, which rejects traditional Gandhian symbols of passivity and victimhood. Originally published in Peace News no 2345 (May-August 1999), unfortunately not available in the Peace News issue archive. 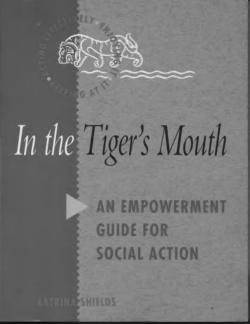 In The Tiger's Mouth provides support for everyone helping to heal our society and earth. Whether providing essential services or trying to change the system, helping others is tremendously demanding, and often draining, work. All too often, activists and providers receive little of the financial, emotional and spiritual support they need and deserve. 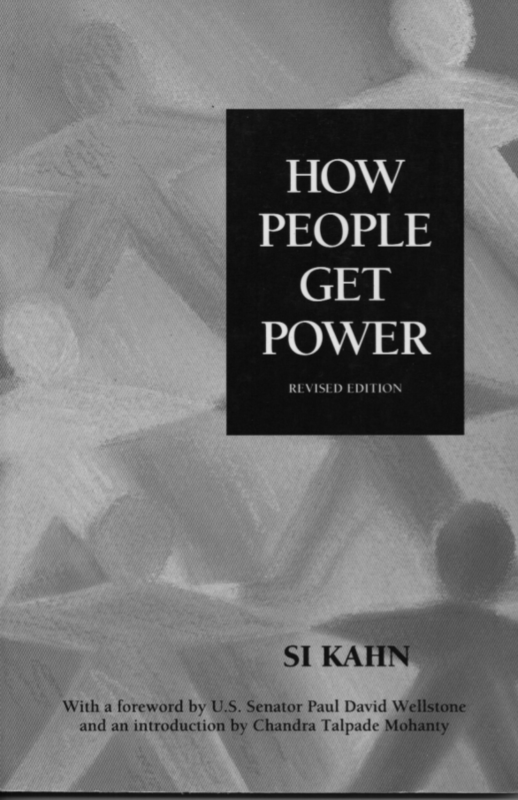 How People Get Power is a book about community organizing, written for organizers. It is mostly based on the experiences of Si Kahn as an organizer in the rural South of the USA. 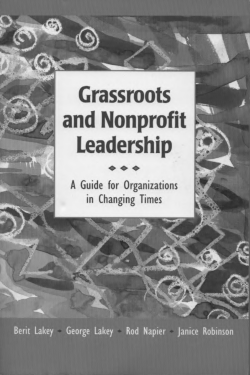 This handbook is part of the training material on mobilization for change put together by the NOVACT – International Institute for Nonviolent Action. It has been conceived as support for carrying out workshops directed to people actively engaged in the design, organization, and putting forward of campaigns or nonviolent social movements for social justice. Social change doesn't just happen. It's the result of the work of committed people striving for a world of justice and peace. This work gestates in groups or cells of activists, in discussions, in training sessions, in reflecting on previous experiences, in planning, in experimenting and in learning from others. Preparing ourselves for our work for social justice is key to its success. This handbook shares what people have already developed in different contexts. Does conflict transformation work? 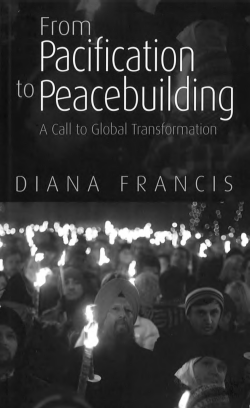 Diana Francis reviews its practice over the past twenty years and recognises its many achievements. She argues, however, that it can never get beyond fire-fighting while the institution of global militarism remains in place. Meanwhile the misnamed project of ‘conflict prevention’ seems unrealistic and the discourse of ‘security’ is drowning out more constructive voices for peace. Facilitating Group Learning is an essential resource designed to help eduactors, trainers, workshop leaders, and anyone who assists groups to learn. George Lakey presents the core principals and proven techniques of direct education, an approach he developed for effectively teaching adults in groups. 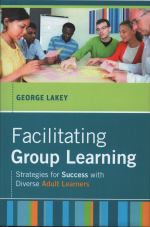 To illustrate how it works in action, Lakey includes a wealth of compelling stories from his vast experience facilitating groups in a variety of situations.